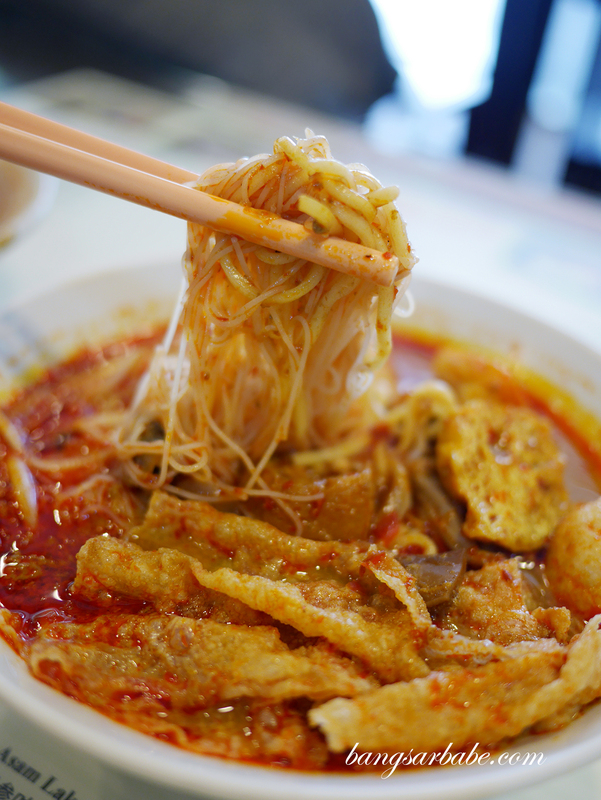 Like char kuay teow, one of my must-have items in Penang is asam laksa, and only the one from Air Itam market. It’s been a regular stop for both rif and myself, and the only asam laksa the fussy boy would ever eat. 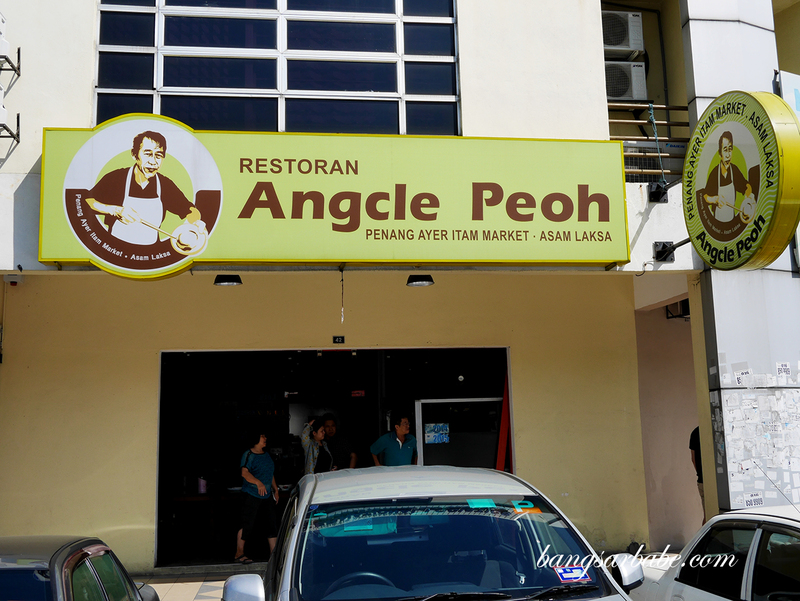 When we found out our favourite asam laksa spot has opened an outlet called Angcle Peoh in Klang, we had to check it out. Angcle Peoh is more spacious, brighter and cleaner than the original stall in Air Itam, and the asam laksa (RM8) is just as good. 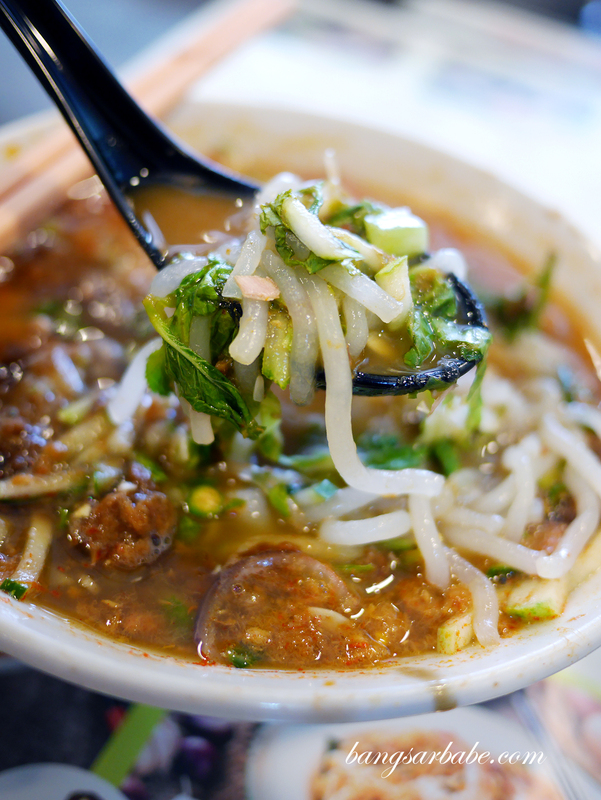 The laksa broth was thick and aromatic from the prawn paste; and tart and spicy with a lingering aftertaste of sardine. The only thing missing is deep fried popiah, which I love to order from the stall next door in Air Itam to dip into the soup. 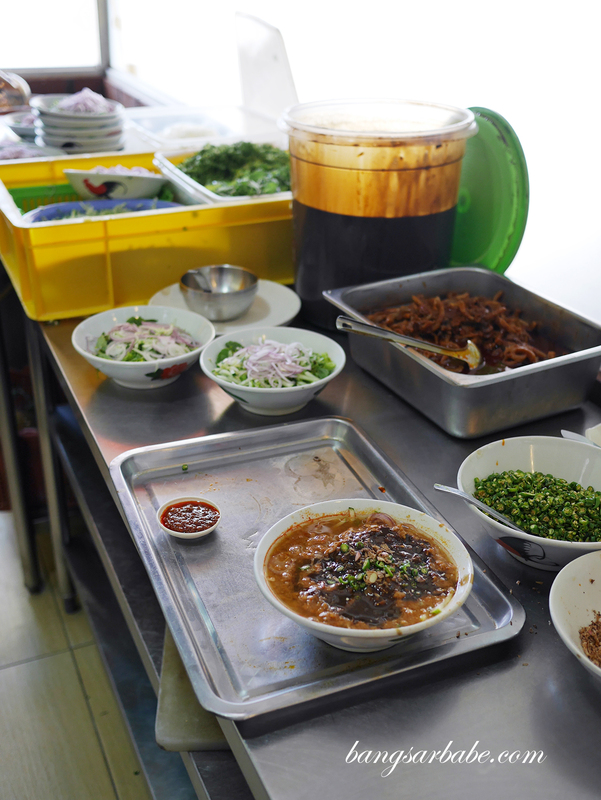 We also tried the char kuay teow (RM10) which they prepare using duck egg for better flavour and richness. This, I didn’t care much for as I feel there isn’t enough char in the noodles and it was a tad heavy in texture. It wasn’t bad to be frank, but not particularly memorable. The curry mee (RM8) is different from the usual Penang curry mee I’m accustomed to. For starters, this came looking gloriously red, unlike the one that comes with a spoonful of sambal, on a base of white, rather diluted broth. 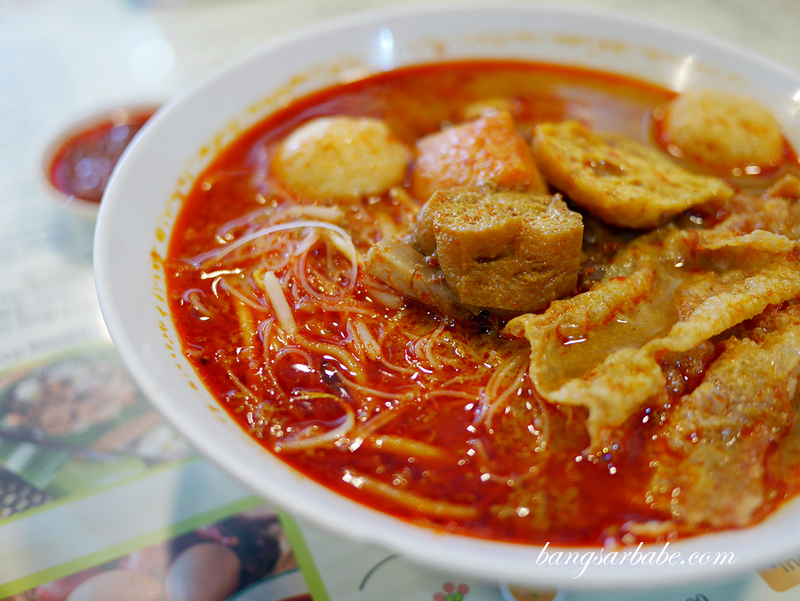 A quick check revealed that this curry mee is the Butterworth version, where the broth is spicier, thicker and more robust. 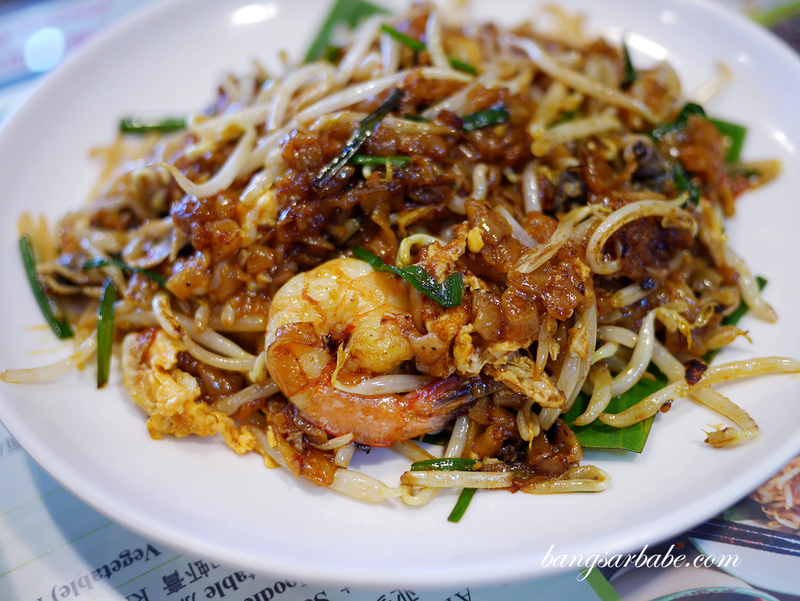 Angcle Peoh’s also offers Hokkien Char (RM8), something that’s hard to find in Klang Valley. 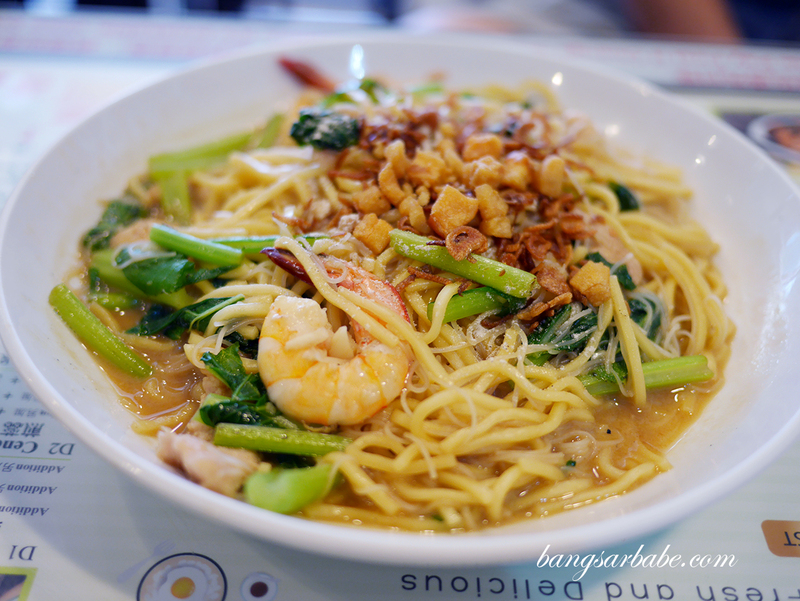 The noodles come with a good amount of pork lard and pork slivers, to give it more oomph. This was decent but not my cup of tea. Cendol and ais kacang is also available, though I didn’t think much of the former. 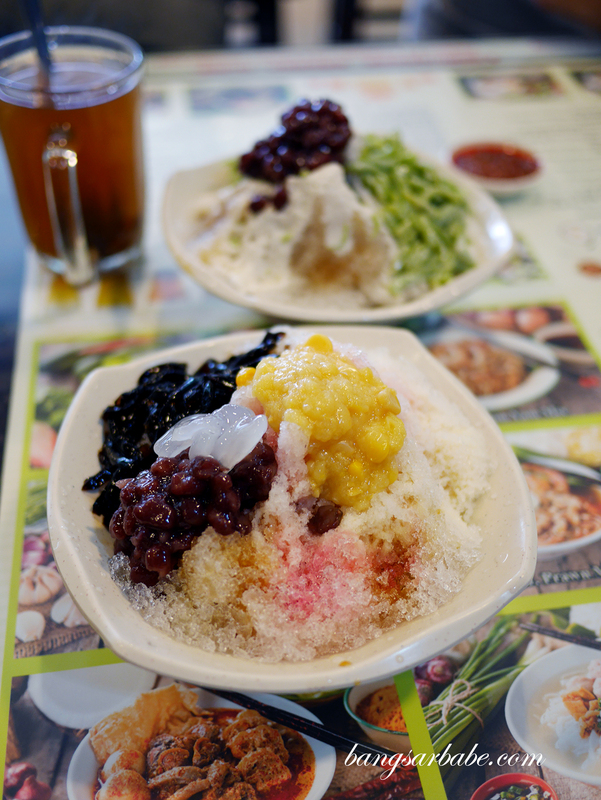 The ais kacang was quite commendable as it comes with all the works – atap chee, corn, grass jelly cubes and red beans. If only they topped it with some shaved nutmeg, as I like that sharp burst of flavour and aroma in my ais kacang. 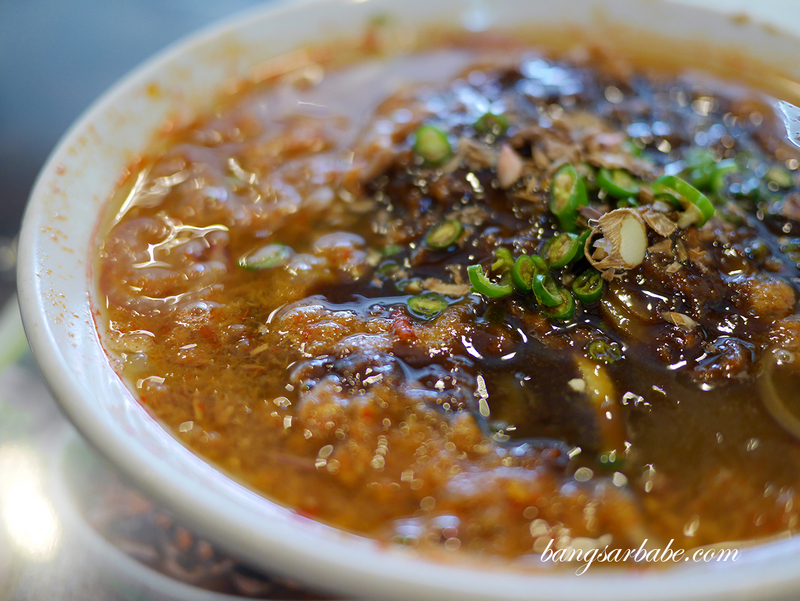 I have to say, Angcle Peoh’s asam laksa is worth checking out especially if you’re a fan. As mentioned earlier, it is as good as the original one in Air Itam but if you’re like me and like to dip fried popiah into your soup, you’ll have to make do. 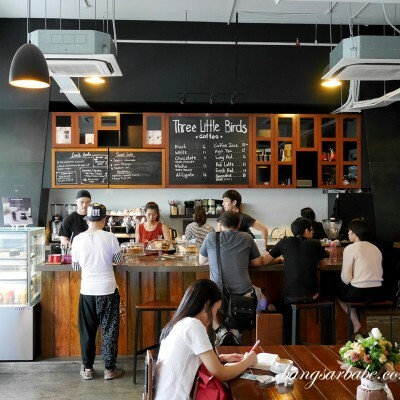 The menu is large and favourites like prawn mee and rojak are available. Verdict: Penang asam laksa fans will love this.